Hudson Baby is a premium baby basics brand featuring stylish clothing, giftsets, bath and bedding baby essentials. 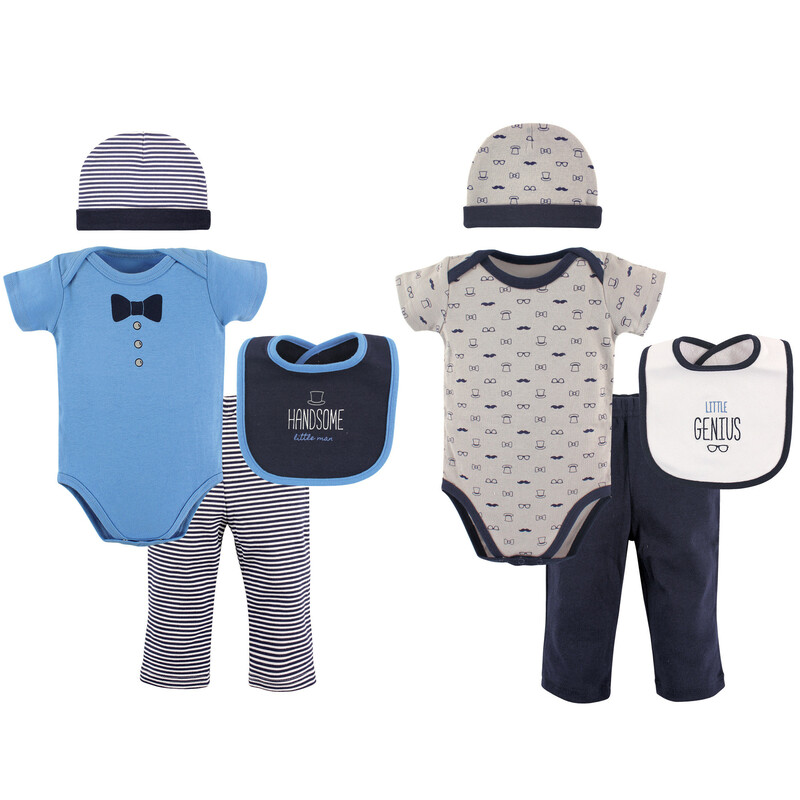 Hudson Baby Grow with Me Clothing Giftset features a 2 Bodysuits, 2 pants, 2 caps and 2 bibs in a gifty layette box. Two outfits, one in each size: 0-3 Months and 3-6 Months. This makes the perfect baby shower gift to last 6 months. Made of 100% cotton except bibs and socks.